The biennial Public Art Exhibition on Hilton Head Island has been bringing spectacular works of outdoor sculpture to the island from around the country and beyond for several years. 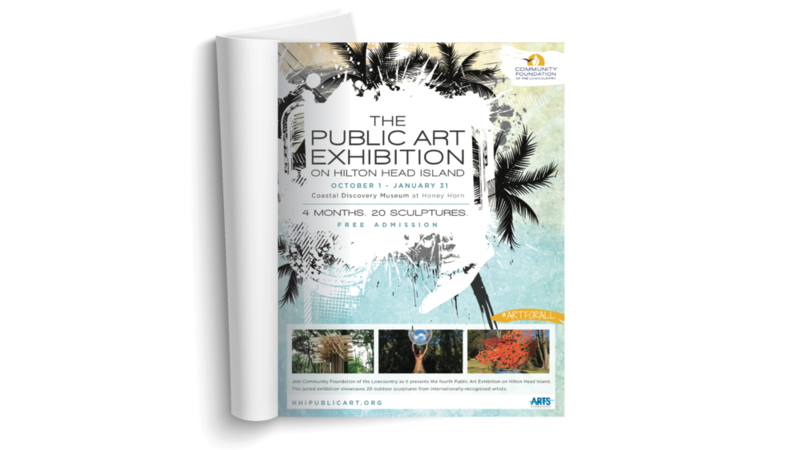 This exhibition was designed to serve as a procurer of public art for Hilton Head Island. Each year, a purchase prize winner is selected, and a piece is installed somewhere around HHI by the town. The marketing of the event is critical in its success by bringing in spectators, attracting financial support, and drawing potential buyers to the exhibition. WDM developed the brand identity and has an active role in the public relations, promotion, and media relations surrounding the event. As the exhibition grows, so does WDM’s involvement, and we look forward to seeing who the winner is this year!